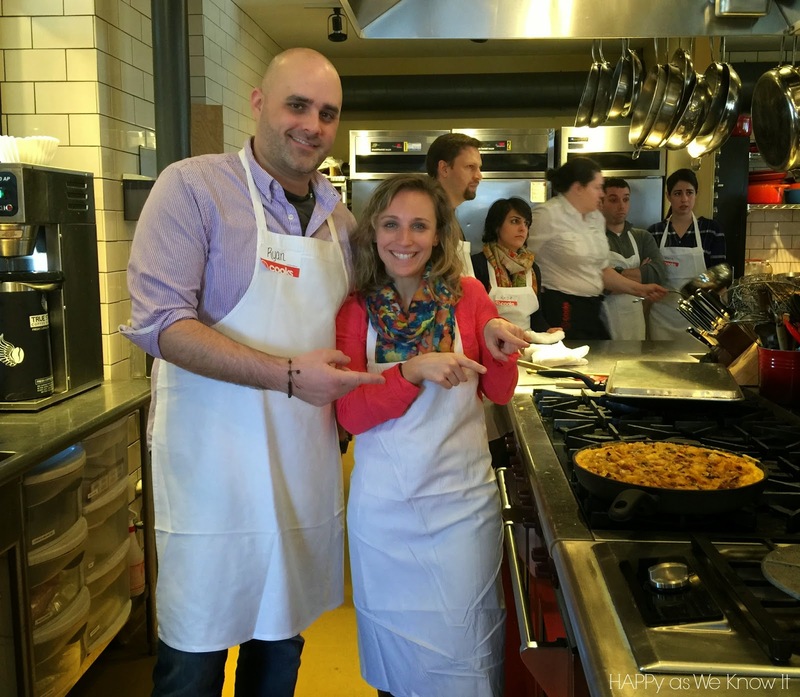 A few weeks back the hubs and I embarked on another bucket list adventure- a cooking class. Now let me start by saying we are pretty much like twiddle cee and dee when it comes to cooking. While we do cook nearly every night and with much luck it turns out edible, we are definitely lacking a great deal of "good" technique. So where better to develop some mad chef skills than "Cooking School", right? 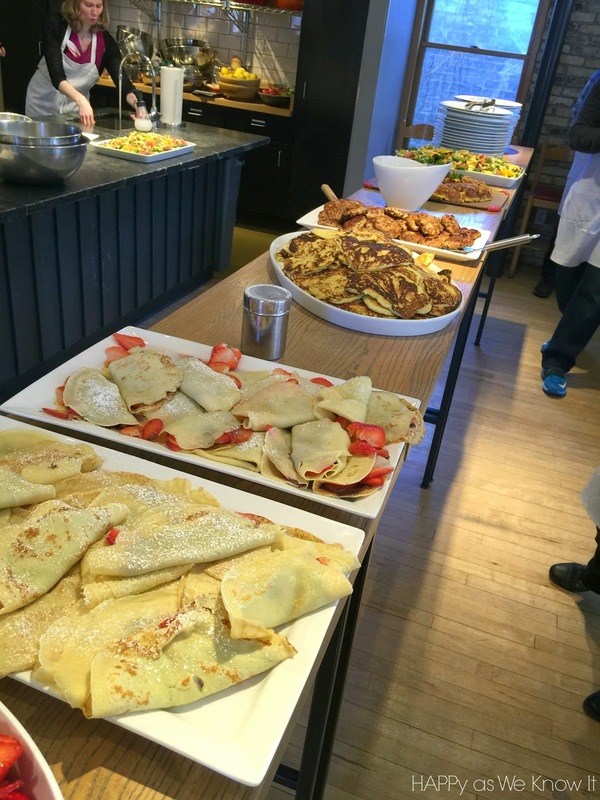 We sought out a local cooking school and signed up for a brunch making class for couples. We learned how to chop, squeeze, and pan flip like pros. 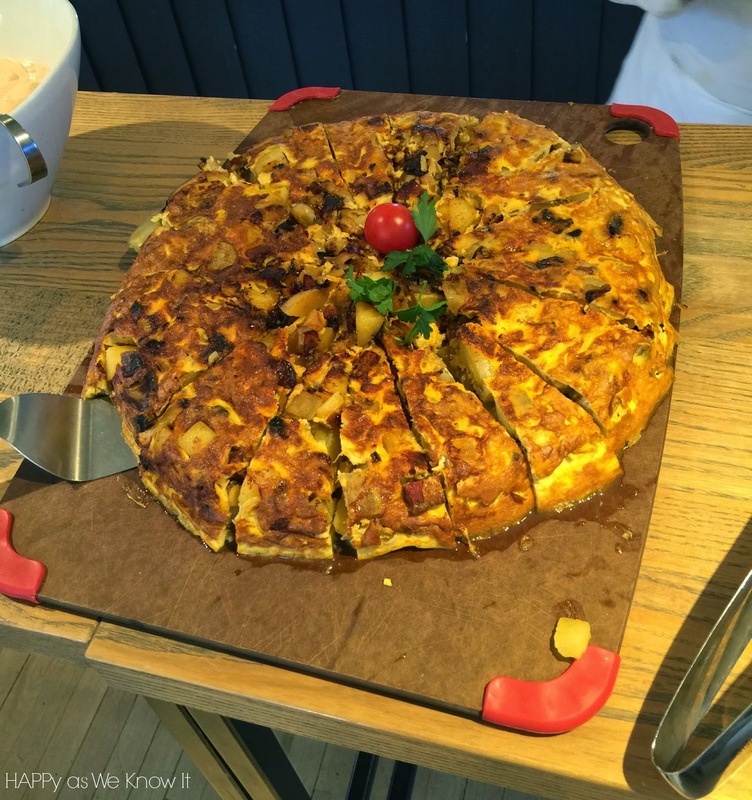 This Spanish tortilla was our proudest contribution. 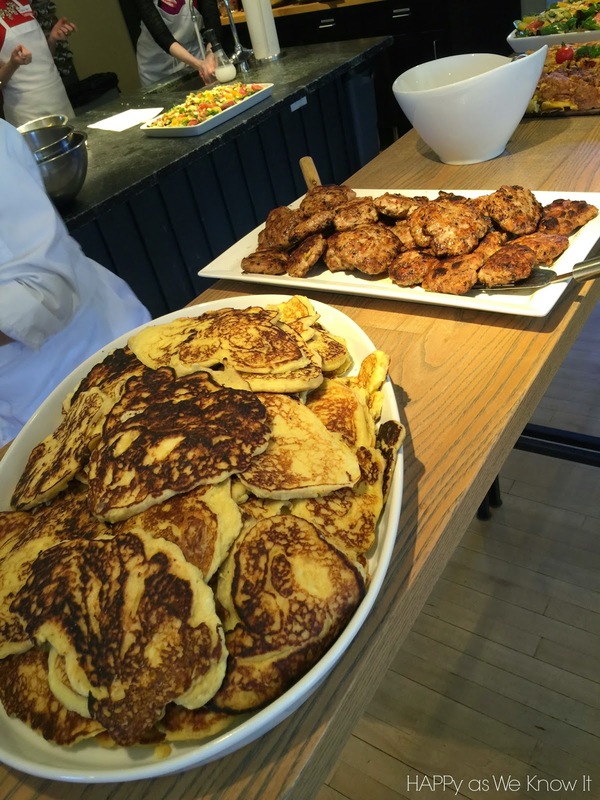 Lemon frittata pancakes and chicken apple sausage. And to top it off, no brunch would be complete without berry and nutella crepes. 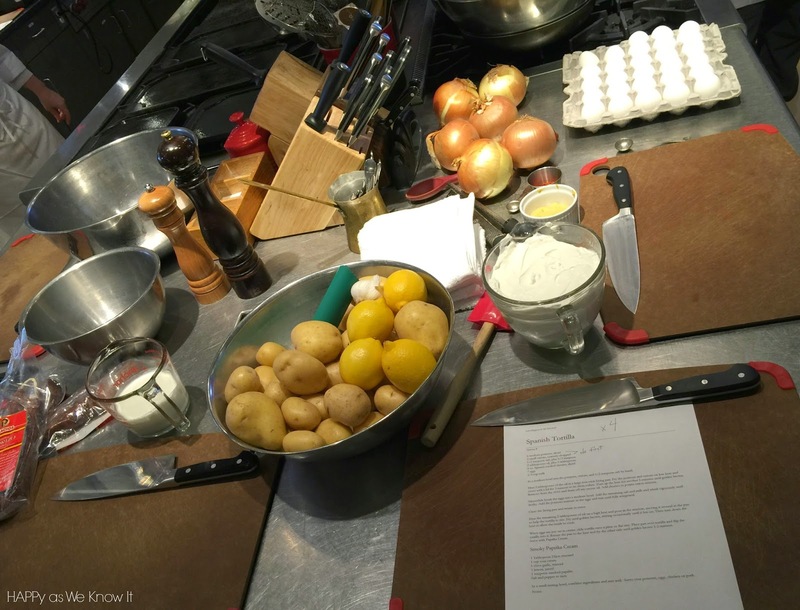 While it can be a bit of a pricier date, if you are up for a little adventure, practical learning and a full belly, a cooking class may be a great fit for you and your spouse. Most larger cities have cooking schools at a variety of locations. It was a great time! 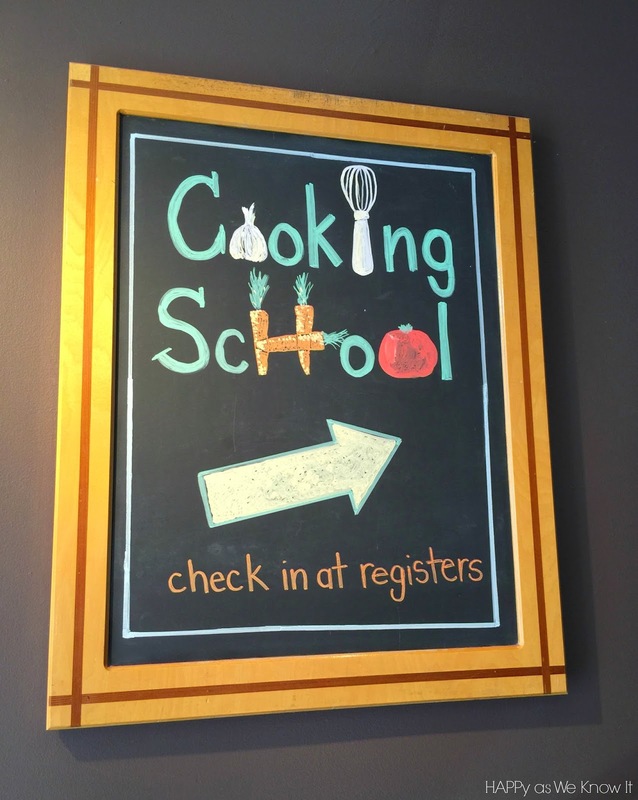 I would definitely recommend it if there is a cooking school near your area! Thanks for stopping by, Ashley! 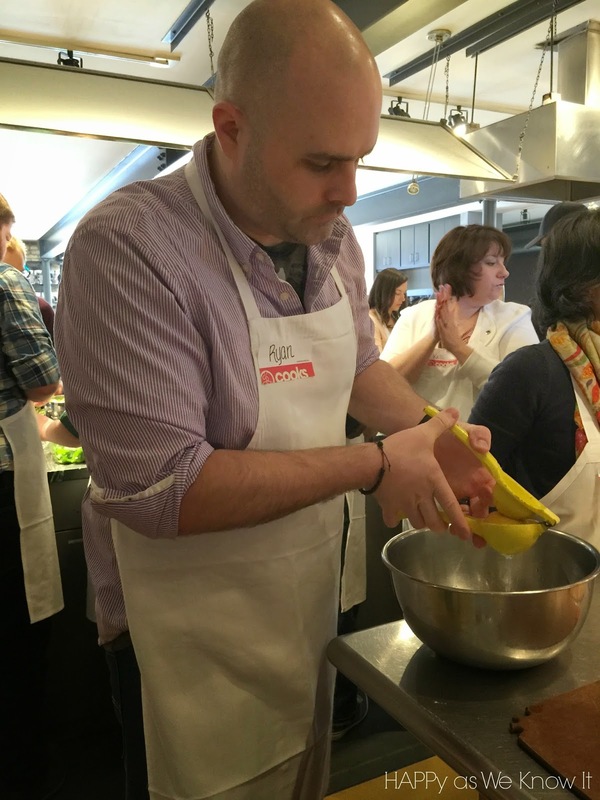 My husband LOVES to cook, so I've been searching for a great couples cooking class for a date night out. It looks like so much fun! Unfortunately, I keep hitting roadblocks trying to find a class in Indianapolis. All of the places I've been recommended have closed, and our Sur Le Table stores don't offer classes. I'm so disappointed!! Oh bummer! You would think there would be something in a big city like that! 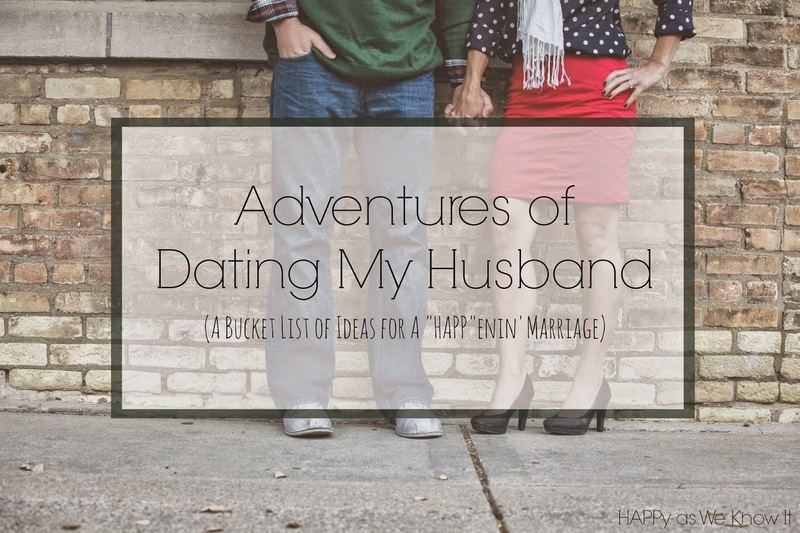 If you are up for a little drive- Chicago definitely would! Thanks for stopping by!